← The Day I Met Batman. I had to sit on this for a while before the Holy Spirit began unraveling the meaning for me. I’ve so often had beautiful encounters with Jesus, the King of Kings, the Prince of Peace. 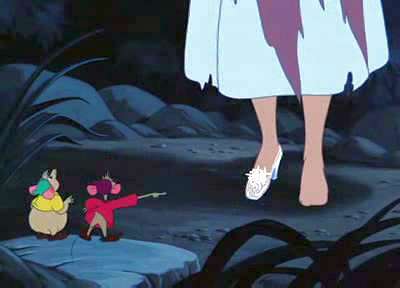 Just like Cinderella, I’ve walked into the most amazing encounters with God in the the most unlikely of circumstances. But, how often have I left those intimate moments of communion with Him only to run back into my old habits and lifestyles, still labeled by how the world has defined me? Time to get back to work. Time to get on with life. Time to face reality. Okay, play along with me for a minute. What if Cinderella didn’t walk away from the Prince that night? What if she wasn’t afraid of what he might think of her when the truth of her sad life was before him? Would the prince have rejected her? Would he have thought less of her? Would he have felt lied to? Would he have felt like she wasn’t worthy of him? I don’t know about Charming. He was just a man, after all. He may have rejected her. But the Prince of Peace isn’t shocked by our past or present circumstances. He already knows everything about us. He already knows what we’ve been though and has been waiting for all eternity for this moment with us. As I started digging into this idea, the Holy Spirit reminded me how His role is similar to the Fairy Godmother. The Holy Spirit clothes us in our true identity as the bride of Christ. He takes the things the world has ripped to shreds and turns it into something beautiful. He prepares us to walk into the presence of the King. So, back to the shoe. 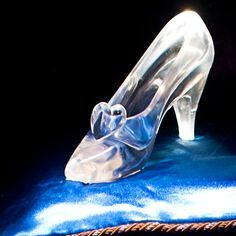 When all the “magic” fades from Cinderella’s night with the Prince, the shoe remained as a gift to remember the moment was real. It actually happened. She danced all night with the Prince! If you’ve encountered the love of Jesus, you will never be the same. You might walk back into some crappy circumstances, but you are changed. There is a deposit in your spirit that will forever be marked by your time with the King. What’s the thing God has given you to remind you of the spiritual encounters you’ve had with him? To remind you He is real, alive, your encounter with him wasn’t just make believe? For me, after a long missions trip overseas, it was praying in tongues. I came back home from the mission field into my old American lifestyle, but there was a new spiritual deposit in me. I was changed. God changed a lot of things in me, but this specific thing was something tangibly different than when I left for the trip. I might have fallen back into some of my old routines, but I still had that glass slipper. I still had a way to connect to my heavenly prince anytime I pulled out my shoe and put it on in the secret place. Sometimes, it was the only thing to get me through days full of doubts and frustrations. Pretty soon, praying in tongues became a natural piece of my life. It’s a shoe I put on again and again; it no longer felt odd or only for special occasions, but was for all occasions. Any time I saw fit to put it on. And every time I did, I looked more like the Bride of Christ, who He created me to be. Are you wearing it? Are you treasuring it so when Jesus comes searching for you, He will recognize you as His bride, the one who He knows? Are you letting it transform your life so you begin walking in the fullness of all He’s given to you? If the shoe fits: wear it. It was made for you.